In considering the impact of his faith on his creative works, it is probably best to begin where most of us start when it comes to Tolkien: with hobbits. Ironically, though hobbits are Tolkien’s most popular subcreation, they are in fact the most insignificant of the rational beings in the Middle-earth universe. After all, Elves and Men were the prophesied Children of Ilúvatar and Dwarves were fashioned from the imagination of the mighty demigod Aulë. Even the Ents arise from the desire of Yavanna, goddess of growing things. 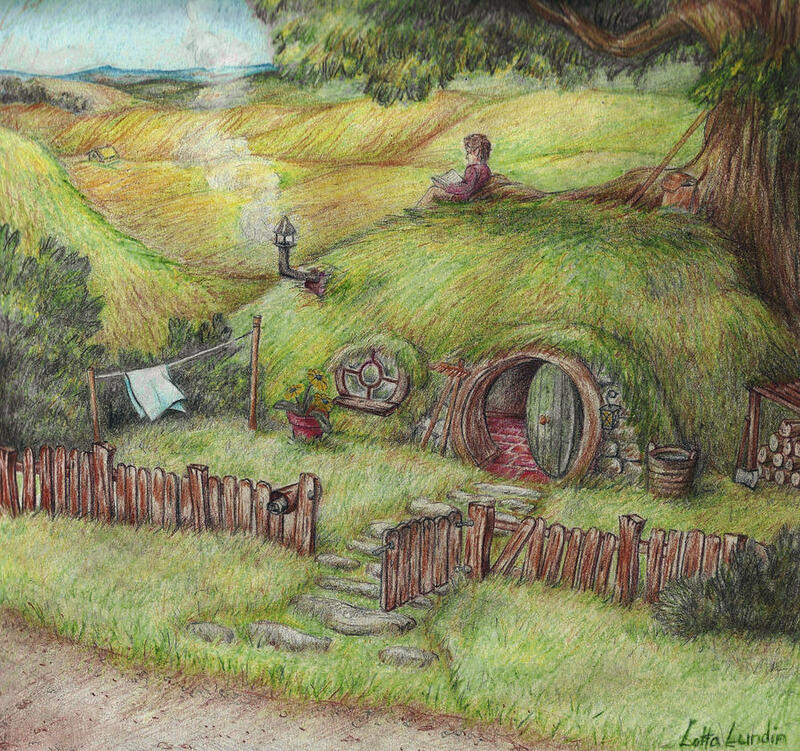 Nowhere does Tolkien explain how hobbits came about, and we’re not really given a hint of what their final destiny will be. They just sort of show up at some point in the middle of the Third Age, and remain an afterthought in the minds of the great powers for centuries until the Ring, by some strange accident, comes to Bilbo. Now if one attempts to read this statement apart from Tolkien’s faith, they are probably going to wind up thinking that he is simply being sentimental here. Obviously, the good professor is just wrong. It IS the powerful, the Lords and Governors, who make the great policies of world history. After all, that’s their job as Lords and Governors, to do the important stuff. Yet Tolkien was not simply telling an underdog story with his Middle-earth works, nor a populist one. So what exactly did he mean? It all hinges upon “the secret life in creation . . . the part unknowable to all wisdom but One.” This is an enigmatic assertion, but I believe that Tolkien is pointing to a hidden reality that the great and powerful tend to ignore. On one hand, this is the mysterious power of nature itself, what Hopkins called “the dearest freshness deep down things.” Yet Tolkien, like Hopkins, feels led to tie this power of nature in with a supernatural providence, a hidden wisdom. Thus, hobbits, the most insignificant of all rational beings in Middle-earth, represent an unexpected design in the divine plan. It is Gandalf alone among the powerful who is able to recognize this, but even then he doesn’t really understand how it will play out. Neither Sauron nor Saruman pay any mind to hobbits before the work of providence gets its head start. St. Paul frequently came back to this theme in his writings: “God chose the weak things of the world to shame the strong.” Why is this? I can’t help but think that God is, at heart, not only the Creator, but also the Creative, the poet and storyteller par excellence. But more on that in the next installment. I’ll close this entry in the series by saying that while most of us will never achieve any sort of great significance in our lives, especially not the sort that will find us being remembered well a few years past our deaths, I nevertheless take great consolation in the knowledge that, as one of the legions of insignificants, it is perhaps that God instead has His own significance mapped out for my life, a deeper and indeed greater meaning that I might miss if I tried to grasp significance on my own terms. I can live with that; it’s good to be in the company of hobbits and the Son of God. Where do you see this theme manifest in Tolkien’s work? I’d love to hear from you in the comments below.